The average age of German companies is around 18 years, according to estimations by the credit rating agency Creditreform. Only nearly 1.5 percent reach more than 100 years of age. PFW Aerospace GmbH is one of these special companies who, for over a century, have defied crises, wars, changes in their own markets and sometimes even errors caused by their own fault. Very rarely do such a great age and global leadership come together. Simply because a great number of years often doesn’t have much in particular to do with technological leadership. Breweries, wineries or guest houses are amongst the oldest companies. 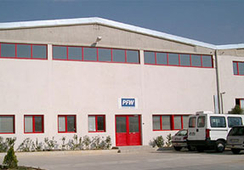 PFW is one of the few exceptions from the production industry here: founded in 1913, the company is still on the market today – and, with some of its products, is even the only qualified supplier in the world. The story starts with a man who could earn his living as a trend scout today. In 1913, the technically talented Alfred Eversbusch recognised that the time was right for an aircraft manufacturer. For him it was clear: the future belonged to aviation! As early as in the second year of existence, the first Otto-Doppelbecker biplane from the Pfalz-Flugzeugwerke factory managed to fly to German Southwest Africa, from where it undertook postal flights to Namibia. The First World War started and the Pfalz biplane was requisitioned and it later crashed. Meanwhile, production in Speyer increased. The course of the war demanded aircraft and, after Fokker and Albatros, Pfalz-Flugzeugwerke was the third largest manufacturer of fighter planes in Germany during the First World War. However after this peak, the first crash was to follow. In 1932, a foreclosure sale was initiated – the result was Flugwerke Saarpfalz. But as soon as in 1945 the next ‘end’ came. The Second World War came to an end and the French and American troops marched in. After that, it was all over for aircraft production on the site in Speyer for a long time. But history was still written: From 1954 on, Ernst Heinkel built his famous Kabinenroller bubble cars here. At the end of the 1950s, the aircraft business also started up again. Ernst Heinkel Flugzeugbau GmbH came into being – and with it, even their first own passenger aircraft: the HE 211. But managing growth isn’t all that easy. The German Air Force was established – and in Speyer a lack of resources meant they had to surrender the major projects: in 1964, there was a merger with Weser-Flugzeugbau and Fock Wulf in Bremen to form Vereinigten Flugtechnischen Werken (VFW) – later to become VFW-Fokker. In Speyer a long period of prosperity started, but in the mid 1970s it was already coming to an end. For once the cold war was helpful, and its effects reached all the way to Speyer: inspections were carried out on helicopters for the U.S. Air Force and outboard tanks were produced for the Alpha Jet and the Tornado. 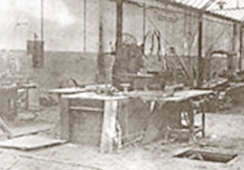 After separating from Fokker in 1980, trading continued as ‘VFW GmbH’ – the period with a modern production plant and helicopter service plant began. An eventful time in the 1990s followed, because the Speyer site now belonged to German Airbus – and was a part of the planned global corporation. Hulls, cables and pipes were produced – and, as an Airbus manufacturing plant, they were dependent on the ups and downs of the parent corporation. This, eventually, was in such a bad state that a buyer had to be found for the Speyer plant. And they were close to home: in 1996, employees simply took over their company themselves, by founding their own plc, the Mitarbeiter-AG. The remaining 523 employees gave their company its old name back: Pfalz-Flugzeugwerke. And straight away all indicators pointed towards growth again. In 2001, Safeguard International Fund got on board. The globalisation of the company ran its course, engineering competence was expanded and from 2005 a new name shone from the list of PFW customers: Boeing! 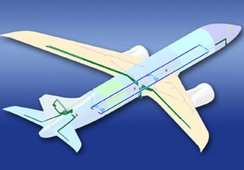 In 2011, Airbus took over 74.9 percent of the company – PFW Aerospace GmbH was born. 1913 - 1918 It all started with Alfred Eversbusch. 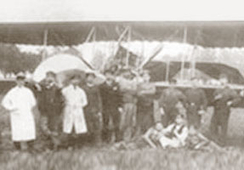 It is thanks to the initiative of the then 28-year-old Alfred Eversbusch – eldest son of Alfred Eversbusch, who ran an iron foundry in Neustadt an der Weinstraße, – that Pfalz-Flugzeugwerke was founded in 1913. 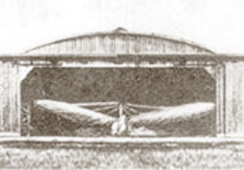 The reasons for this were Alfred Eversbusch’s technical training, his exceptional technical talent, and the fact that the Eversbusch family recognised that the future lay in the hands of the burgeoning aviation industry – particularly as there was, as yet, no aircraft manufacturer in Rheinpfalz, which was then part of Bavaria, and the transition from one-man engineering businesses to crafts and trades enterprises was just taking place. So the Eversbusch family still felt that the risk was rather low, even though more and more aircraft factories were springing up around the remaining part of the Prussian-dominated German empire, and the founding of more aircraft factories was only welcomed if they were well-funded and large-scale companies. As the financial resources of one individual were not sufficient for such a company, it was not only the whole of the Eversbusch family who were involved: as well as Alfred Eversbusch, his brother Ernst and his brother-in-law Willy Sabersky-Müssigbrodt, there were also three additional partners: the brothers Richard and Eugen Kahn as well as August Kahn, who wasn’t directly related to the brothers. 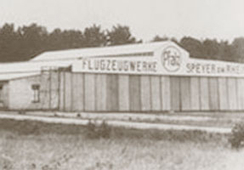 The founding of Pfalz-Flugzeugwerke GmbH was certified on 3 June 1913 in Neustadt and der Weinstraße, and on 12 July 1913 it was registered in the commercial register at the Ludwigshafen county court. The entry in the commercial register stated: ‘The purpose of the company is to construct aircraft and train pilots as well as to exercise all operations which are suitable in furthering the company’. Alfred Eversbusch and Richard Kahn were appointed managing directors. The capital amounted to 50,000 marks, 20,000 marks of which were non-cash contributions. The non-cash contributions consisted of a flying machine, an aircraft shed, an Opel aircraft engine and various tools and drawings. The flying machine was contributed by the Eversbusch brothers, probably a design of their own which was made in 1912/1913. Flight tests led to at least one small aircraft accident involving Alfred Eversbusch at the start of 1913, from which we can assume that he also tried his hand as a pilot in the beginning. 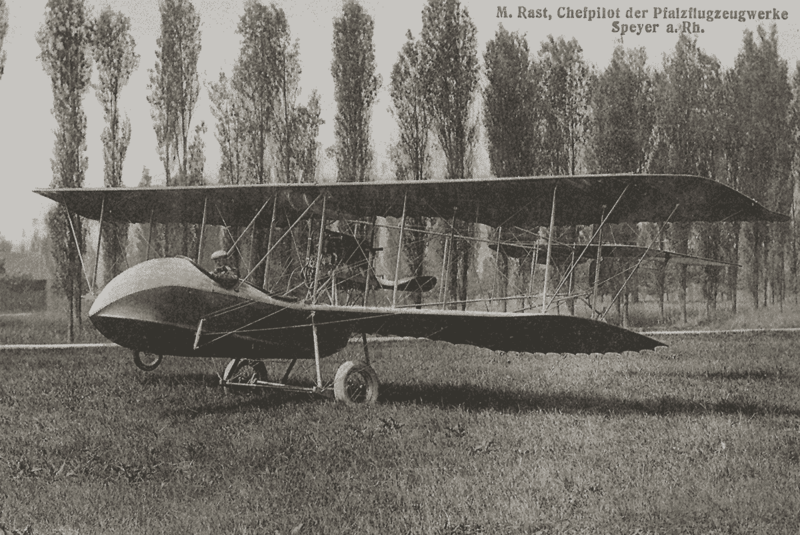 Very early on – even before the founding of the Pfalz-Flugzeugwerke – Alfred Eversbusch tried to lease a piece of land at the newly established Speyer airfield. As early as in March 1913, Alfred Eversbusch received a draft contract for the lease. This was because, at that time, the city of Speyer was particularly interested in the new economic sector ‘aircraft production’. Ultimately, 2,000 m² could be acquired for 10 pfennigs per m². In addition, the flying association’s shed could be leased for 50 pfennigs a day, and the nearby hall could even be used free of charge. 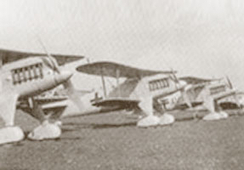 Mainly technically sound aircraft by PFW which were ready to fly were parked in the shed at the airfield. They started preparing for a licensed production, apparently due to economic reasons. This was because Willy Sabersky-Müssigbrodt, the only one to have any technical training in the field of aircrafts, had already left by 1914 to work as a design engineer for another company. Alfred Eversbusch turned to Albatroswerke in Berlin-Johannisthal in order to obtain a licence contract. However they were only interested in allocating a licence if they were able to acquire a part of Pfalz-Flugzeugwerke. For this reason, a contract for the founding of a new company was concluded: Pfalz- Flugzeugwerke Licenz Albatros GmbH. But this new company was never actually active. And on 5 August 1913, Albatros GmbH already requested the cancellation of the registration. After a few legal skirmishes, the cancellation of the registration was conceded in December 1913 and the company was once again registered as Pfalz-Flugzeugwerke GmbH. 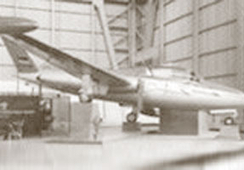 After delivery of the approved design, Pfalz-Flugzeugwerke immediately started manufacturing the first licensed aircraft in the Speyer hall. Used Otto-Doppeldecker biplanes were also being repaired at the same time. 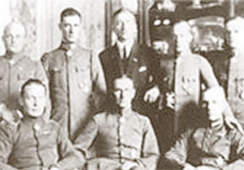 The first aircraft was ordered by the Rudolf Hertzog company, an internationally renowned clothing company in Berlin. After this first aircraft of their own was produced, they used it for major advertising events. For example, on a cross-country flight the aircraft landed in Tübingen which, on 25 October 1913, heralded the first ‘aircraft landing’ for the small town. 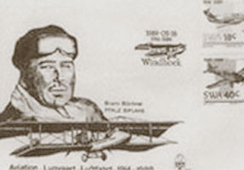 As early as on 18 May 1914, Bruno Büchner started out with 60 postal consignments to Usakos in Namibia, which he also reached with two intermediate landings. They were given the postmark ‘First airmail attempt to German Southwest Africa’. A commemorative 50 cent postal stamp and a first day cover were brought out in remembrance of this event 75 years later. The presentation of the first aircraft continued from Africa via Karibib, Okahandja and Brakwater to Windhoek. As a flight over Cape Town (South Africa) to Daressalam in German East Africa (today Tanzania) was not permitted by the British authorities, the aircraft took the sea route from Lüderitz Bay on the steamboat ‘Khalif’ to Daressalam on 4 July 1914. 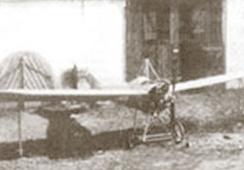 After it was assembled again, Bruno Büchner was able carry out a test flight before the First World War began. The Pfalz biplane was requisitioned by the German colonial army and crashed during a reconnaissance flight. The remains of the aircraft were used to build a seaplane. However, when it emerged that insufficient fuel was available, the aircraft engine was mounted onto a railway carriage and it carried out two materials transports from Daressalam to Morogoro. On 6 February 1914, Speyer city council decided to comply with PFW’s request, and sold an area of 7,000 m² on the corner of the old Lußheimer Straße for the purpose of building an aircraft factory. Soon after, a production hall was built and was inscribed with the writing ‘Pfalz-Flugzeugwerke Speyer am Rhein’ which could be seen from afar. Pfalz-Flugzeugwerke was very lucky with its timing. The factory building was finished one month before the war started, and the manufacturing of parasol monoplanes could begin. Due to the war, Pfalz-Flugzeugwerke manufactured various aircraft until the end of 1918, both licensed and also as their own developments. Pfalz-Flugzeugwerke had evolved into the best-performing aircraft company in the Kingdom of Bavaria in the year 1917, and was seen within the German Empire as a significant and reliable manufacturer of aircraft, on the same level as the companies Fokker and Albatros. Right after the end of the war, the remainder of the Pfalz-Flugzeugwerke was taken over by the French military. The organisation as well as its materials were seized. On 4 June 1919, Pfalz-Flugzeugwerke was renamed as ‘A.G. Pfalz’, or rather, it was newly founded. According to the entry in the commercial register, the official purpose of the company was ‘Shipbuilding, manufacturing, and the purchasing and selling of all industrial objects and items …’. Unfortunately, after a multitude of difficulties, the company started to decline little by little. It officially came to an end in 1932 when a foreclosure sale was initiated due to outstanding claims. On 1 October 1937 the ‘Internal rules and regulations of Flugwerke Saarpfalz GmbH, Speyer am Rhein’ came into effect. They were signed by the plant manager Otto Schirmmeister. However because the Flugwerke Saarpfalz airpark was not suitable for the repaired aircraft to land at the time of acquisition, the aircraft were initially taken by land to Mannheim-Neuostheim. So the city renovated the airpark in 1937/1938 so that a suitable starting and landing field was available for the repaired aircraft to land. At the end of 1937 there were already 200 employees, and the company grew until the start of the war in 1939 to 500 employees. As Flugzeugwerke Saarpfalz was not a development organisation, it undertook the repair and refitting work for other aircraft companies. This included aircraft types such as the Focke-Wulf Fw 58, Heinkel He 45, He 46, He 51 and He 111, Junkers Ju 52 and Ju 88, for example. The extensive workload meant the workforce grew to around 1,500 employees. By mid March 1945, the advance of the American and French troops already heralded the next ‘end’ to aircraft production in Speyer. Due to growing motorisation, Prof. Ernst Heinkel expanded his company in 1954 with Ernst Heinkel Motorenbau GmbH in Karlsruhe and in 1955 with Ernst Heinkel Fahrzeugbau GmbH in Speyer. We can assume that the associated airpark was the decisive factor for the location at Speyer. This is because aircraft production remained his next goal in Germany too. 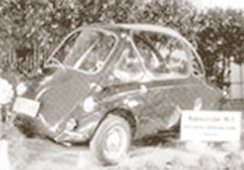 On 18 October the ‘Kabine’ bubble car was presented to TÜV Stuttgart, the German safety standards authority, and on 23 February 1956 the first operating licence was received from the Federal Motor Transport Authority. Around 3,800 of the types Heinkelkabine 150, 153 and 154 were manufactured in Speyer. In 1961, the two assembly lines were sold to Ireland and Argentina. 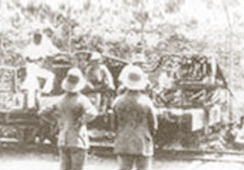 The maximum level of production was up to 50 vehicles a day. 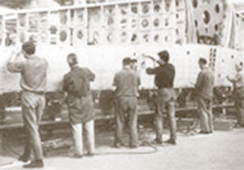 Aircraft production activities had already started in 1956. In addition to vehicle production, repair and maintenance work was also undertaken for many different aircraft during the years 1957 to 1959. Ernst Heinkel passed away six days after his 70th birthday on 30 January 1958. Soon afterwards, his company in Speyer was renamed as Ernst Heinkel Flugzeugbau GmbH in his honour, which also represented the increasing aircraft production work. From 1958 to 1964 a large number of vehicles were developed and produced in series and vehicle components were also manufactured. These included: wings and tail units for the Lookheed reproduction F 104, serial production of the Fiat G 91, production equipment and components for the passenger aircraft F-27 ‘Friendship’ and the development of their own passenger aircraft HE 211. After the German Air Force was formed, both orders and the necessary financial resources to take on major projects alone were lacking. The factory could no longer be maintained. Therefore, on 20 November 1964 the merger with Vereinigten Flugtechnischen Werken in Bremen was completed. The merger of Focke Wulf and Weser-Flugzeugbau and Ernst Heinkel Flugzeugbau into the Vereinigten Flugtechnischen Werken (VFW) in 1964 meant that Speyer was no longer the headquarters of an independent company from 1965, it was only a manufacturing plant in the VFW group of companies. The development of the C 160 Transall meant that parts were manufactured at the Speyer plant for this large transport aircraft: engine nacelles, horizontal tail surfaces and elevator assemblies for 169 aircraft. The Speyer plant was also involved with parts for the production of the 387 helicopter type UH-1D at the company Dornier. In 1968 there was a merger with the Dutch company Fokker GmbH to form Vereinigte Flugtechnische Werke-Fokker GmbH – VFW-Fokker. After the decision by the Bundestag in the same year to obtain the CH-53 helicopter from the company Sikorsky, VFW-Fokker started to plan its series production in Germany in 1969. There was a genuine period of prosperity in Speyer from 1969 onwards. The number of employees grew from 1,344 to almost 1,800 people. Licensed production was carried out together with Sikorsky (USA), MBB, Dornier and the engine company MTU. However there were no major follow-up orders from 1975, after the Sikorsky licensed production for the CH-53G helicopter came to an end. So a fight for existence began. New tasks were sought and found. Galleys were manufactured from 1978 onwards. At the same time, ‘analytical condition inspections’ were carried out on helicopters for the U.S. Air Force and outboard tanks were produced for the Alpha Jet and the Tornado. In 1980 it was necessary to break away from Fokker and trade continued as ‘Vereinigte Flugtechnische Werke GmbH’. After VFW was taken over by Messerschmitt-Bölkow-Blohm GmbH in 1983, the Speyer plant was made more financially efficient, integrated into the ‘Rotary and commercial aircraft’ company division and developed into a modern production and helicopter service plant. After two years of restructuring on 17 October 1985, the newly designed Helicopter Service Center (HSC) was officially opened by MBB. At HSC both civil and military helicopters were inspected, serviced and repaired. 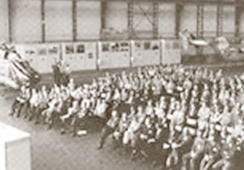 The MBB plant in Speyer, now in the MBB helicopter and aircraft group of companies, was a service and manufacturing site with highly qualified employees and long-standing experience in aircraft and specialised technology, which is rich in tradition. In the years 1987 and 1988 the MBB plant in Speyer hit the headlines. The site found itself in a dangerous position again in connection with turbulence concerning the whole company. At the end of 1989 the merger of MBB and Deutsche Aerospace (DASA) which had since been founded, was completed. With the takeover by Deutsche Aerospace and Daimler Benz, the name of the Speyer plant changed increasingly more often. From Deutsche Airbus GmbH in 1991 to Deutsche Aerospace Airbus GmbH in 1992, the name eventually changed to Daimler Benz Aerospace Airbus GmbH (DASA) in 1995. The plant developed into a pure Airbus manufacturing plant for hulls, cables and pipes. This meant that it was directly dependent on the ups and downs of the Airbus group. The workforce sank further down below the magic number of 1,000 to only 700 employees. The so-called Dolores programme was brought to life due to extensive problems with the Airbus group. At the same time, several plants were suddenly up for closure again. And Speyer was one of them. So from autumn 1995, DASA looked for a buyer for the plant. 1997 - 2001Original name from 1913: Pfalz-Flugzeugwerke. Original name from 1913: Pfalz-Flugzeugwerke. 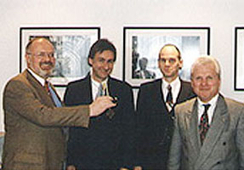 In March 1996 the DASA factory was transferred to the employees in the form of a Mitarbeiter-AG, an employee plc, and the executive board was run by three managers of the DASA factory. After the takeover, Speyer was initially a pure supplier plant for freight loading systems, air-conditioning pipes, auxiliary tanks and cladding for Airbus aircraft. On 1 January 1997 the plant was officially transferred into the hands of the remaining 523 employees, and the name of the first aircraft plant in Speyer was taken on once more: Pfalz-Flugzeugwerke. After a year, on 22 January 1998, an article in the Mannheimer Morgen newspaper wrote: ‘There’s a terrific atmosphere here’. There was no more talk of reducing staff, and in the meantime the workforce had even been strengthened by contract workers. In total 617 employees were listed on the payroll, and even the sales target of 125 mio. German marks was reached. Today Pfalz-Flugzeugwerke is in a good position. The positive developments in civil aviation and Airbus have brought along a major boost. In order to continue to meet the rapidly changing demands of the aviation market in the future, it was decided in 2001 to acquire more capital by selling shares to Safeguard International Fund. This step enabled additional and rapid expansion, particularly with a view to the global market. After shares were sold to Safeguard International Fund, the company’s strategic goals were further developed. The main focus was on globalisation. In order to serve so-called off-set commitments to the aircraft manufacturers (OEM), and for other reasons, an additional production plant was already founded in 2003 in Izmir, Turkey. At first auxiliary tank systems as well as smaller structural components were manufactured here, with the production range widening over the years. A further milestone in the recent history of the company was the purchase of the English company HPL in 2008. At the Nuneaton site, PFW now manufactures products including those which are required for the A350. The next strategic goal was to expand engineering abilities. As a consequence of this, the first order with development responsibilities (Design & Build) in the field of pipes was won in 2003 with the A380. Additional Design & Build orders were acquired for the A400M (2005) and the A350 (2009). In 2005, PFW was able to add another major name in aviation to its customer portfolio with Boeing. PFW gained its first direct order through the multi-national enterprise with various tubing systems for the Boeing 787 Dreamliner. The company officially changed its name again mid 2006. For a long time Pfalz-Flugzeugwerke had been known as its acronym PFW. 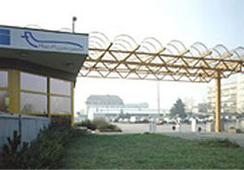 In order to be able to officially use this title, the change of name to PFW Aerospace AG was carried out in June 2006. In 2011, Airbus took over 74.9% of PFW. 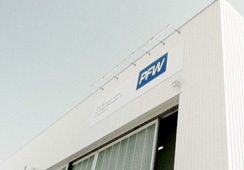 Since then, PFW has operated under the name PFW Aerospace GmbH.